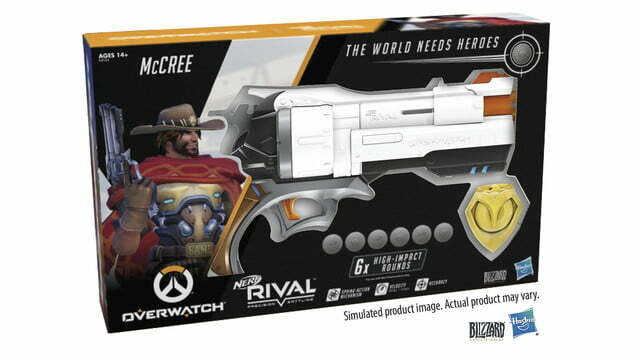 Everyone’s favorite gunslinger, McCree, now has his own Nerf blaster, and it’s the perfect finishing touch to an authentic cosplay effort. 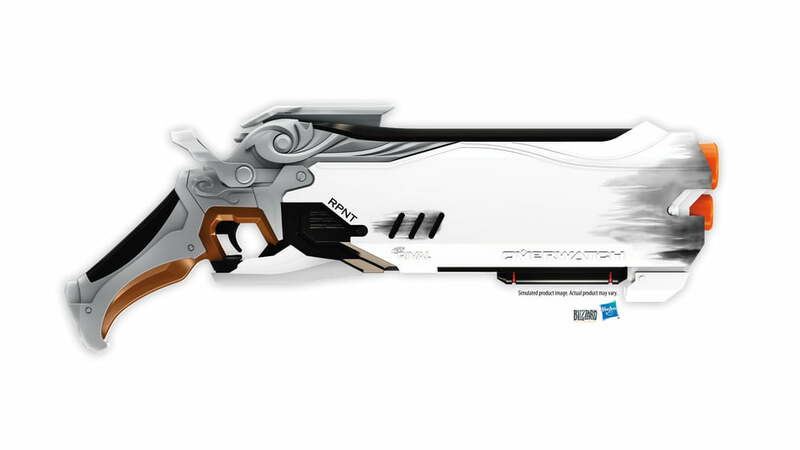 The Nerf Rival Overwatch McCree Edition blaster is a replica of the character’s revolver in the game, and it comes with a reactive hammer ,as well as a spinning spur on the grip. Alongside the blaster, the package also includes a die-cast replica badge, just like the one McCree sports in Overwatch. 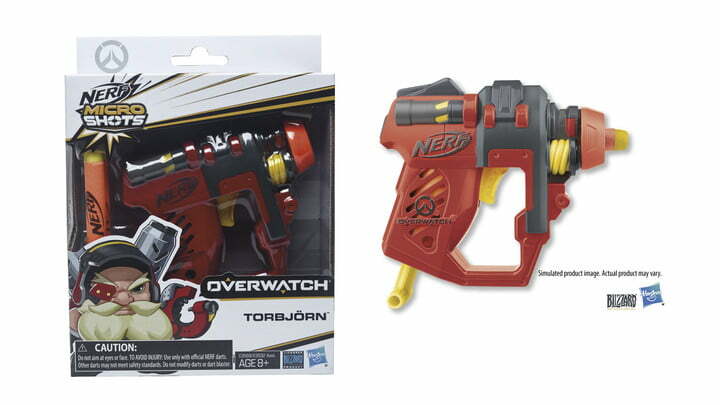 Like other Rivals blasters, it fires spherical foam projectiles instead of Nerf’s classic darts. Though they lack the classic look of Nerf darts, reviews of Rivals blasters have been favorable overall, thanks to better range and accuracy than most Nerf guns that fire the old-school darts. 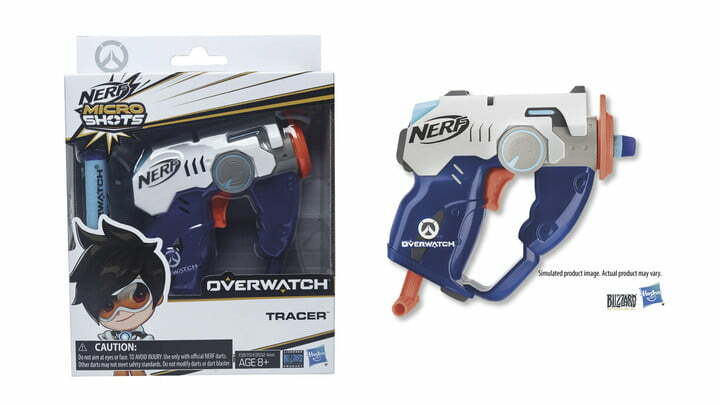 Blizzard and Hasbro have previously released multiple Nerf blasters based on Overwatch weapons, including Reaper’s dual blasters. 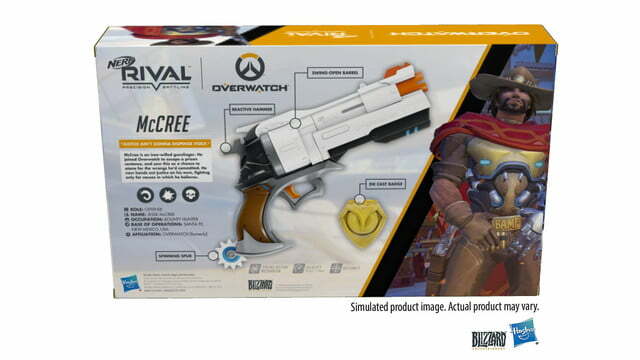 The McCree Edition blaster will launch in the U.S. exclusively at GameStop on January 1, and will then head to other retailers on April 22. Also being released are three new Nerf Overwatch Microshots blasters, which each hold a single dart and are colored to look like other characters from the game. Included in the first series are D.Va, Torbjörn, and Tracer. Digital Trends was told that a character’s inclusion in the cheaper MicroShots line doesn’t mean they can’t also come to the Rival line as well. We may also see more than just traditional projectile-based blasters make the jump to Nerf. “Overwatch is a team-based action game, and the heroes use a variety of accessories. 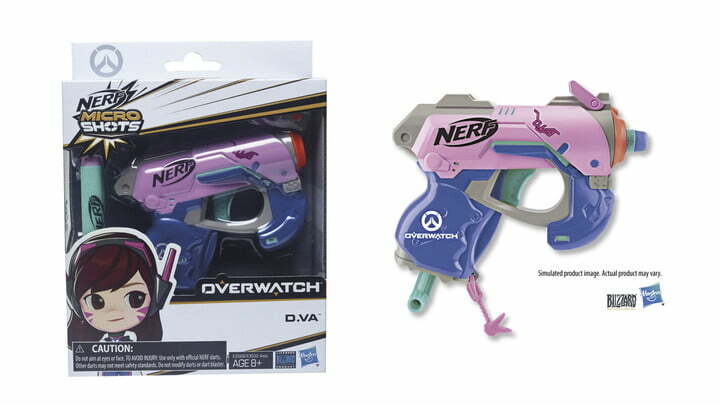 And we take a look at those accessories and try to figure out which we think will speak most authentically to the community,” said Matt Beecher, Blizzard vice president of global consumer products, in an interview with Digital Trends. He added that this will be a factor in determining future toys. 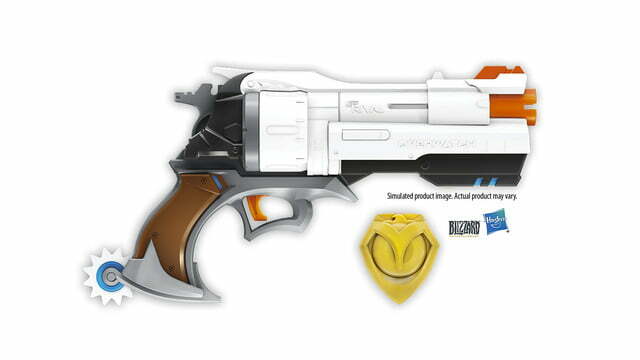 In addition to the new Nerf blasters, Hasbro also has a line of six-inch figures in the works. The first of these to be announced is Mercy, and her figurine shows a remarkable amount of detail. 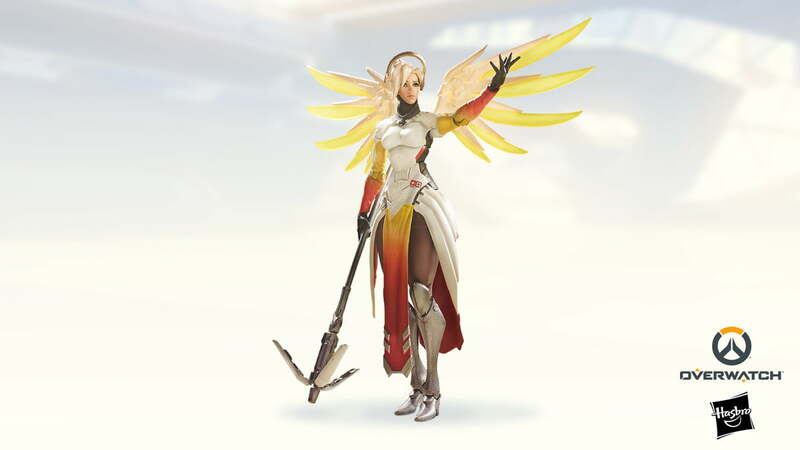 Mercy will be joined by other heroes when she hits retailers on April 22, but Hasbro isn’t saying who those will be. Check out Digital Trends’ BlizzCon hub for all the news coming out of Blizzard’s event this year.